Reminder: The Zoo is open daily. We are only closed Thanksgiving, Christmas and New Year’s Day! Share, Care and Connect This Season. friends and family while nurturing and protecting wildlife. Every purchase at the Zoo supports our mission to better the bond between people and our planet and reinforces your role in bringing that mission to life. 10 a.m., Noon & 2 p.m.
Santa is making a special stop by the Louisville Zoo and he’s bringing some of his North Pole friends along too. For more information click here. Connect with your loved ones and with nature. Provide a special gift to those people in your life you care most about. A Zoo Membership provides year-round opportunities to share lots of fun — it’s your Frequent Fun Pass that enables you to partner with us to protect and care for wildlife. The Louisville Zoo Gift Shop can take you and your loved ones on an incredible wildlife adventure this holiday season. Our toys, books, plush and unique fair-trade gift items will introduce your friends, family and little ones to a world as remarkable as they are. 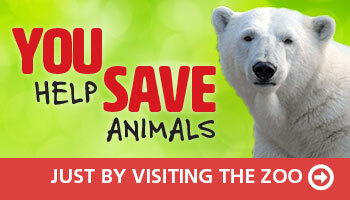 Present your Zoo Membership to receive 10 percent off all regular price purchases. The Main Plaza Gift Shop is open daily, 9:30 a.m. to 5 p.m. (closed Christmas and New Year’s Day). Admission to the Zoo is not required to shop. Our friendly staff provides a relaxing environment to help you find the best way to brighten up someone’s holiday. Family members, scouts, coworkers and more can join forces to give a gift to our precious animal ambassadors and help enrich their lives by providing items that engage them in stimulating activities. The local chapter of the American Association of Zoo Keepers (AAZK) has created an Animal Enrichment Tree. Grab a wish item from the tree to fulfill. For more information and to see a list of requested items, click here! We all have very special people in our lives that deserve an extra special gift of recognition. Honor or celebrate a friend, family member, special customer or client with their names engraved on a brick in the Etscorn Garden. Treat someone to a one-of-a-kid Zoo experience with our Behind-the-Scenes Tour!